Prilly Hamilton, Sly & Robbie, Chezidek & Skarra Mucci, Hollie Cook, Peter Tosh and more. This show was 1st in the global reggae chart, 1st in the global reggae dancehall chart, 1st in the global soulful chart, 6th in the global soul chart and 8th in the global downtempo chart. 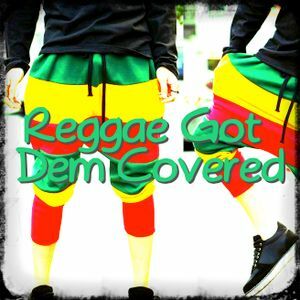 A CAREFULLY CURATED selection of reggae covers of popular songs and conversely, original reggae versions that were covered by other artists. Music - the natural high. Consume daily, consume in quantity. Music by Prilly Hamilton, Sly & Robbie, Chezidek & Skarra Mucci, Hollie Cook, George Nooks & Trinity, Johnny Osbourne, Dennis Brown, Red Dragon & Ruddy Thomas, Carlene Davis, Wayne Wade, The Paragons, Marshall Hyde & Suzey Chossey, Tony Tribe, Shinehead, Soul 4 Soul featuring Freddie McGregor, Paris Red, Calibe, The Jolly Boys, and The Heptones. I enjoyed this mix so much I will have to listen again. Oh well, this is a true Version Excursion heaven.......feeling so gooooood !!! My favourite one ? The Hollie Cook track.......great !! !